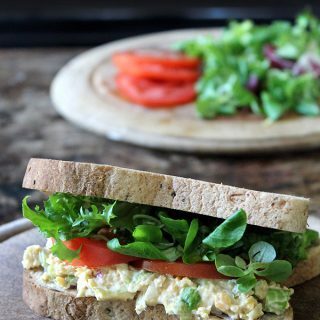 Vegan tuna mayo (aka tuna salad) is easy to make, healthy and a great meat-free alternative to fish. The texture comes from mashed chickpeas (garbanzo beans) so it’s a nutritious sandwich filling with loads of fantastic flavours. Do you get into lunch ruts? I do. I’ll spend a week having the same thing every day, from salad or smoothies to soup (maybe a vegan laksa) or a sandwich. I also quite often whip up my beloved Spanish beans in just 15 minutes or eat it as leftovers. My usual sandwich filling is hummus and grated carrot, but again, I get into a food rut with that. Lately I’ve been loving vegan tuna sandwiches (aka vegan tuna salad sandwiches). I know, it sounds rather bizarre, but mashed chickpeas/garbanzo beans make a fantastic base for flavourings and give the sandwich a filling density. Trust me. Sure, it’s not going to be exactly like tuna. But it has a lovely umami flavour and thick texture that’s delicious in sandwiches. You can add crumbled nori seaweed for a ‘fishy’ taste, or leave it out and let the red onions and capers add the deeper flavour. Vegan tuna mayo is sooooo easy to make. See those ingredients above? Just mash them all up together and then spread them onto your bread. Simple. You can also make it ahead and keep it in the fridge for a few days. Letting it sit allows the flavours to really develop. Are you unfamiliar with those little green things above? They’re capers. Little pickled balls of deliciousness. If you don’t have them to hand you can leave them out, but I adore their flavour and love them in vegan tuna mayo. They’re easy to find in supermarkets, but you could substitute with finely chopped gherkins/dill pickles. I also like to sprinkle a little vegan parmesan cheese on this sandwich. It only takes a few minutes to whiz the cashews and spices together and it’s tasty on salad, stews, pasta etc…! Get the Easy Vegan Tuna Mayo Recipe Now! 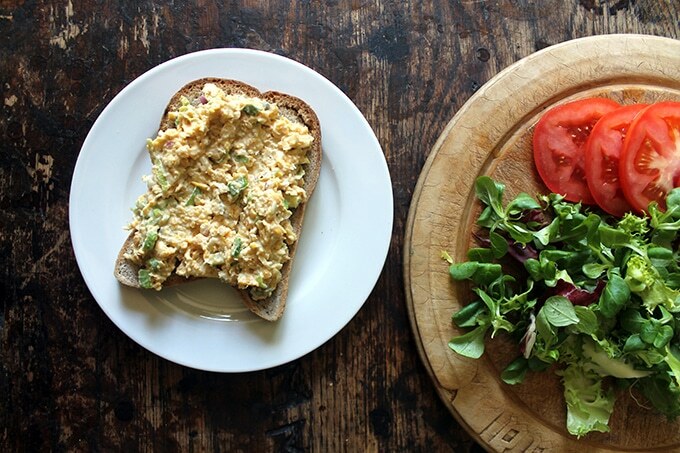 Please let me know how this vegan chickpea tuna recipe turned out for you! Leave a comment and star rating below and share a picture on Instagram, Twitter or Facebook with the hashtag #veggiedesserts. Vegan tuna mayo is easy to make, healthy and a great alternative to fish. 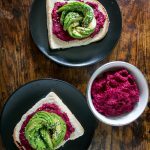 The texture comes from mashed chickpeas (garbanzo beans) so it's a nutritious sandwich filling with loads of fantastic flavours including capers and red onion. Drain and rinse the chickpeas, then coarsely mash them with a fork. Serve on bread with salad leaves and tomatoes. !Note: if gluten-free choose gluten-free mayonnaise and soy sauce. 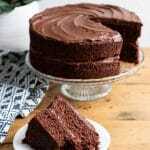 Take a look at my other vegan recipes, including cakes, breakfasts, main meals, stews and snacks. Really nice! I added all the optional ingredients and it was so good. 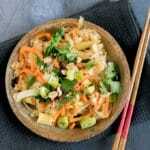 We have just started to eat less meat in our house as I found we were eating the same meals week after week. I’m surprised at how versitle chickpeas are. They can seriously do anything! Don’t forget to save the liquid from the can, you can whisk it up to make vegan meringues. This would be so perfect for lunch today! Yum! This was delicious! I made it as I’m doing veganuary. Will be making it again soon. Quite tasty, but nothing like tuna. Much better with some toasted and crumbled nori seaweed in it. 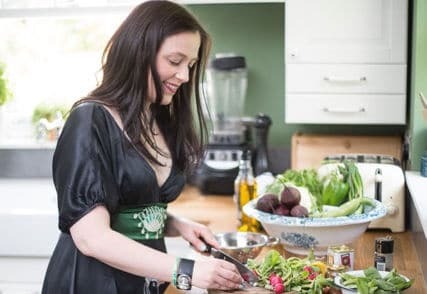 I found this recipe looking for Veganuary recipes. It’s my first vegan lunch and I must say that I LOVE this sandwich. So tasty. What a genius idea for a sandwich and I must look out for this bread as it looks really good! What a beautiful vegan lunch! That looks like a really delicious sandwich filling! 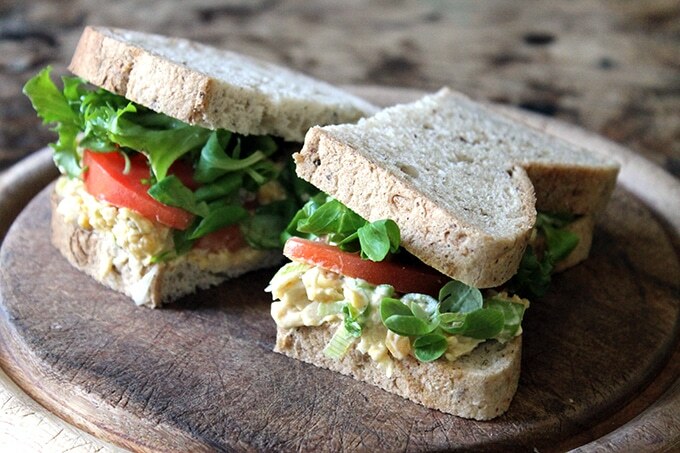 Do you call it vegan tuna mayo because the flavour and texture are reminiscent of it? I think I’d enjoy it in its own right as a delicious chickpea and caper sandwich filling! So good! Really love this idea of a vegan tuna may. 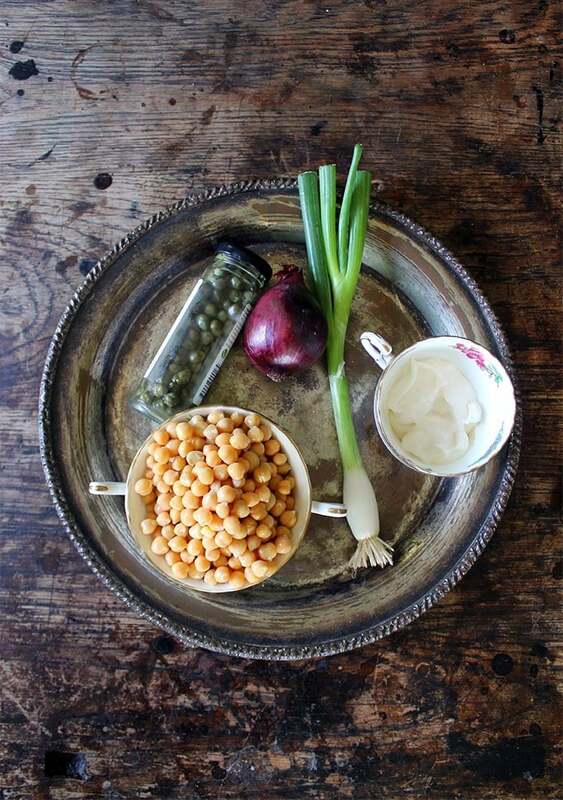 Chickpeas are such a versatile product to keep in your kitchen cupboards. I regularly buy Genius products from my local supermarket, especially like their range of bread. I love fish and am very intrigued to how a vegan version will taste, hope to find out soon! I nearly had a heart attack when I saw the word ‘tuna’. My brain didn’t register the vegan bit first. I was never a fan of fish, even before I became a vegetarian, but this filling sounds great. Great take on a vegan ‘tuna’ sandwich. Great alternative to fish. It is amazing how you adapted the chickpeas to look just like tuna. This looks like a very satisfying sandwich. Yum, I bet this is delicious and a nice alternative to tuna. I always get into lunch ruts, just eating toast and not much more! wow! 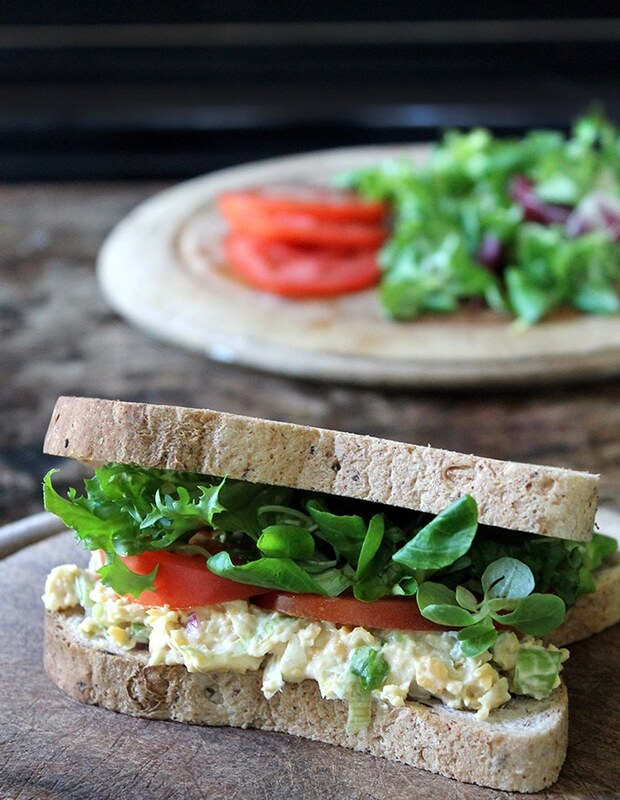 The chickpeas tuna sandwich looks so delicious! This will surely make a wholesome breakfast..
oh wow! very interesting! I’ve never put chickpeas on my sandwiches! Reading this makes me hungry! I am not usually a sandwich person but this recipe sounds very delicious.